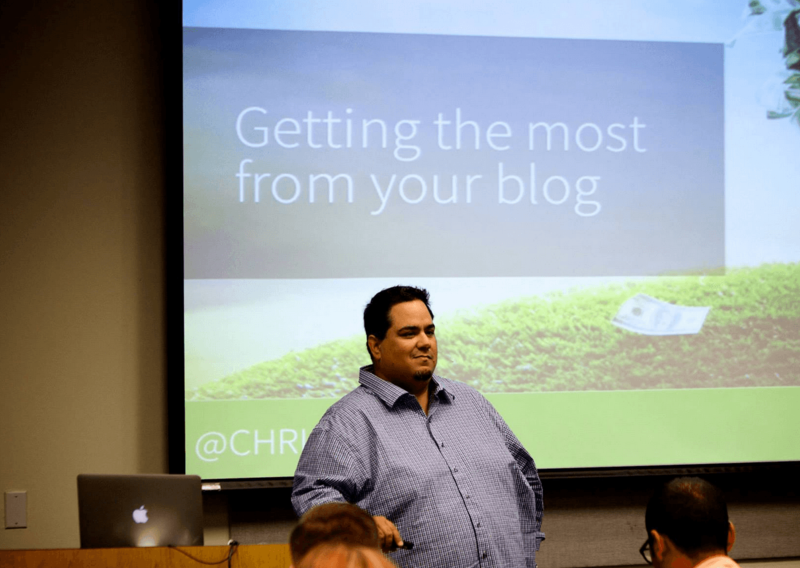 This past weekend I talked about using your blog to build a platform. As I talked about things, I mentioned the goal was to always be helpful, and to make sure you weren’t the hero of the story (both things I wrote about recently). How can I be helpful? About what? How can I help someone else be the hero? So I decided to try something new today. Who knows if it will work. But I was in Jason’s session on podcasting when he spoke about SoundCloud and I remembered I had an account with them. So here’s my answer to those questions. Did you like that episode? It’s an illustration that helps you think about your experiences in a different way. It even paints your worst moments in a positive light – all because it lets you help others. That’s what makes being an old guy (43) hanging out with a bunch of 23 and 33 year olds fun. Because I’ve made more mistakes (and learned from them). I think some folks call this wisdom. But I don’t think you actually get a prize for trying to do something 35 incorrect ways before figuring out some best practices. So let me ask you this – what are you struggling with that may help others in the near future?